Lemon is one of my favorite flavors – after chocolate. Chocolate Meringue Pie – that’s Number One. Lemon Meringue Pie is second. I like chocolate and lemon in more than just pie, though. Cookies, bars – mmmm. One year my hubby and daughter and I made lemon bars during winter holidays and made some extra money. That’s churches’ off-season for holding special meetings like we used to do. We had quite the assembly line with the three of us, and the lemon bars were mouth-watering delicious. Have you ever mixed lemon and berry in desserts? I get these crazy cravings sometimes – like lemon-berry. I mixed one of those crazy cravings with an on-the-spur-of-the-moment slow-cooker idea and came up with lemon-berry cobbler. I wasn’t actually planning to do a cobbler that crazy-craving-lemon-berry day. The intention was to cook a cake in the crockpot. But it didn’t turn out like a cake. Instead, it looked and tasted like a cobbler. Pinterest is a great place to find awesome desserts, and I found a slow-cooker lemon cake recipe and adapted it to the lemon-berry flavor. The problem was that Wal-Mart didn’t have a simple lemon box cake mix. I could only find a box that included a small lemon cake mix, a little pan to bake it in, and a package of frosting mix. It was different and not what I wanted, but I was on a tight schedule that day and didn’t want to go to another store to look for the perfect cake mix. At first, I was so disappointed when the “cake” turned into a flop. After I tasted it, though, I thought, hmmm, it’s like cobbler! If you serve a berry cobbler, of course, you’ll offer a-la-mode. So that day or the next, I went to the store for French vanilla ice cream. It was good. Next, I questioned myself. Should I include this flop of a lemon cake in my slow-cooker meals and desserts for the month of April? I served a dish of the lemon-berry cobbler, a-la-mode, to my husband. He liked it! That’s all the answer I needed. If two of us liked it, then two others will like it. They’ll share it with two more who will like it. And on and on. Two plus two plus two…it’s worth the share. 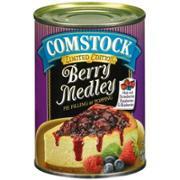 and one can of berry pie filling. The funny thing is that on that same day of trying to find the lemon cake mix, I could only find one can of lemon pie filling and one of the berry. It was perfect for my lemon-berry plan and a good thing I wasn’t making just the lemon. You can mix this dessert up in a few minutes, put it in the crockpot when you get home from work, and have an evening cobbler snack ready and hot for the family to enjoy. Spray the bottom and sides inside the slow cooker with the non-stick spray. 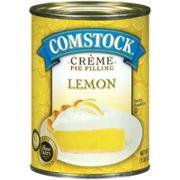 Pour lemon pie filling in slow cooker..
Pour berry pie filling on top of lemon pie filling. 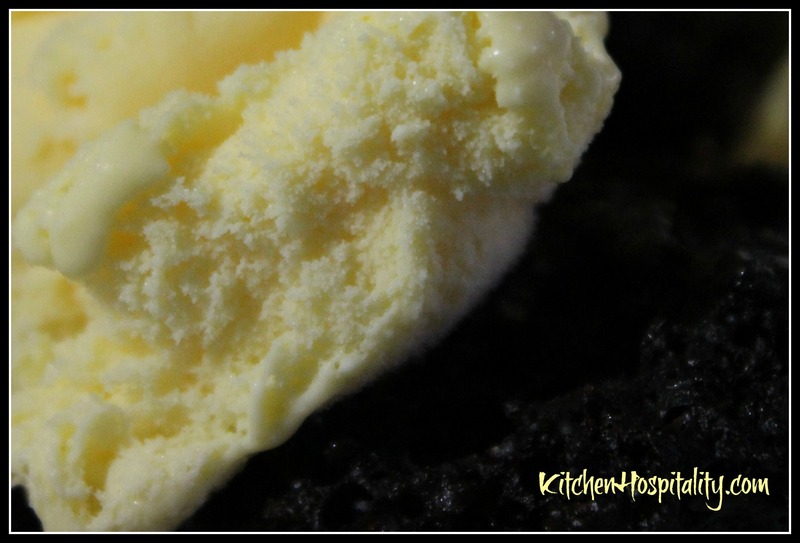 Mix the lemon cake mix and melted butter and stir until crumbly texture..
Pour cake mixture over the pie fillings. I tend to be a purist and don’t like chocolate mixed with other fruits — except when it comes to lemon. There’s something about lemom-puckery and sweetness combined. I also like the orange chocolate candy ball that you can find around December holidays, but that’s using a liqueur for flavoring. I don’t make brownies at all because I’ll eat them all! Keep experimenting — they all sound good. Thank you for your support!! 🙂 I do love experimenting. Oh I love that orange chocolate candy ball. I had never had one until I received one as a Christmas gift from a coworker. So yummy! I agree, there’s something about lemon that’s awesome. It’s tart superb!!! I love lemon meringue pie, and the combination of lemon berry, too. This sounds delicious. I will make this as soon as I get to the store to buy the pie filling. I have a lemon cake mix, already. I like the lemon-berry combination, too. Let me know how yours turns out.